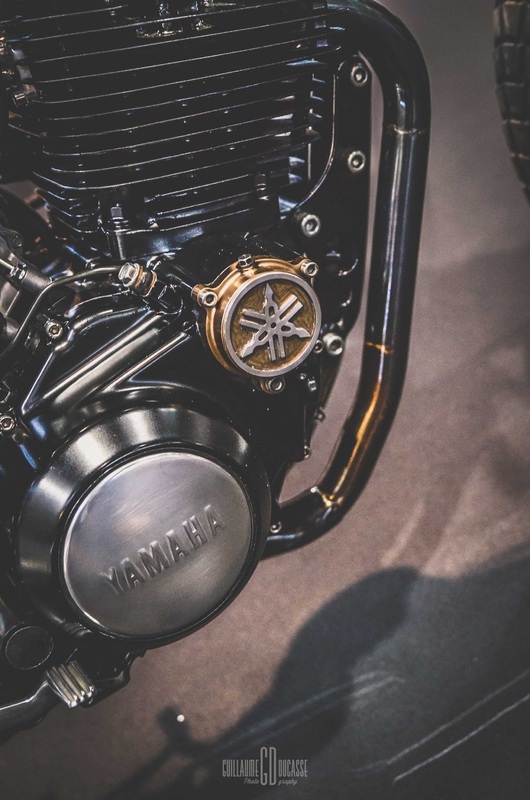 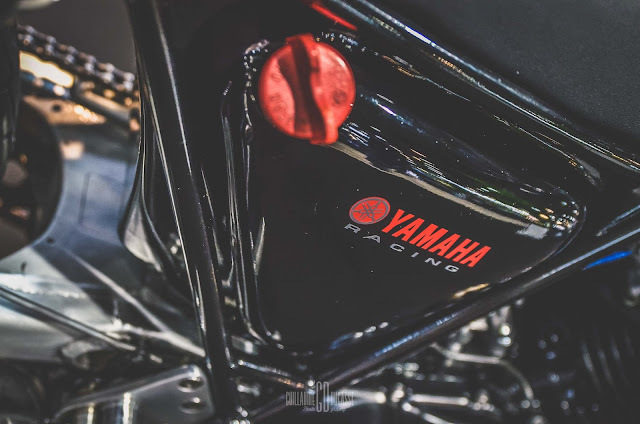 The Yamaha single-cylinder engines are real mines of emotions, they are easy and fun, solid and reliable and a power that never puts you in trouble but that also manages to surprise you when you insist with the throttle. 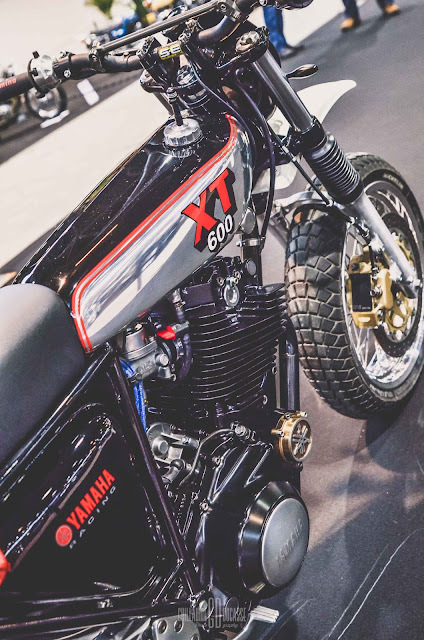 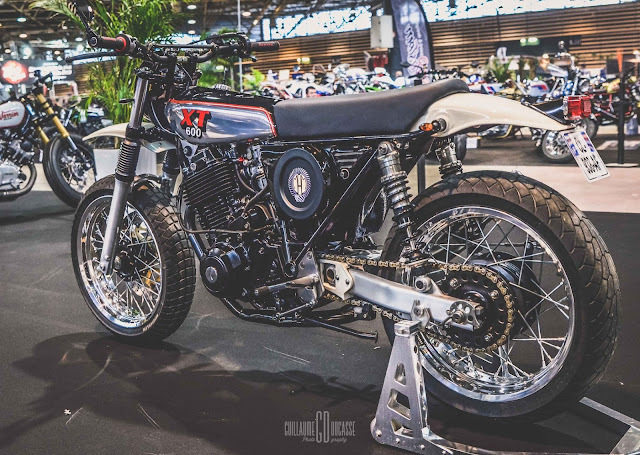 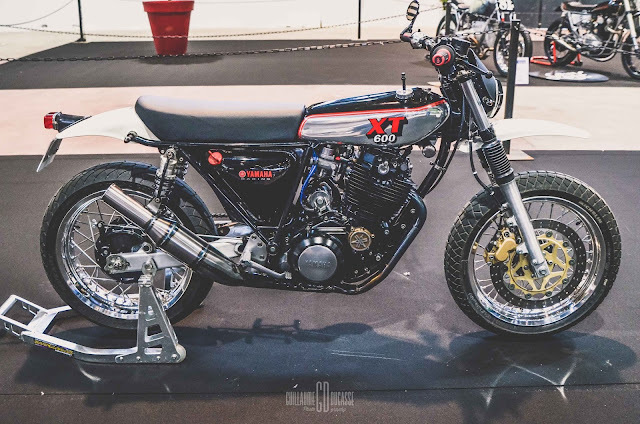 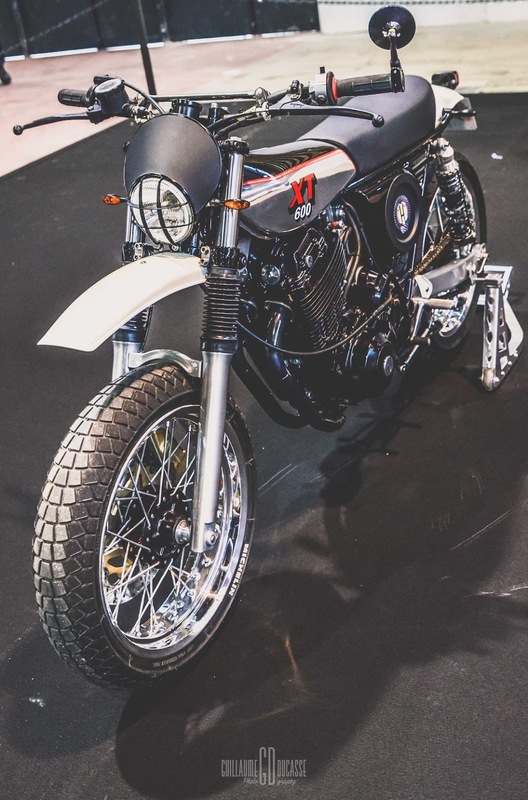 This special on XT600 base and very nice quancosa, manages to combine the fascination of the old XT 500 together with a more modern and efficient chassis without ruining the vintage effect of the project. 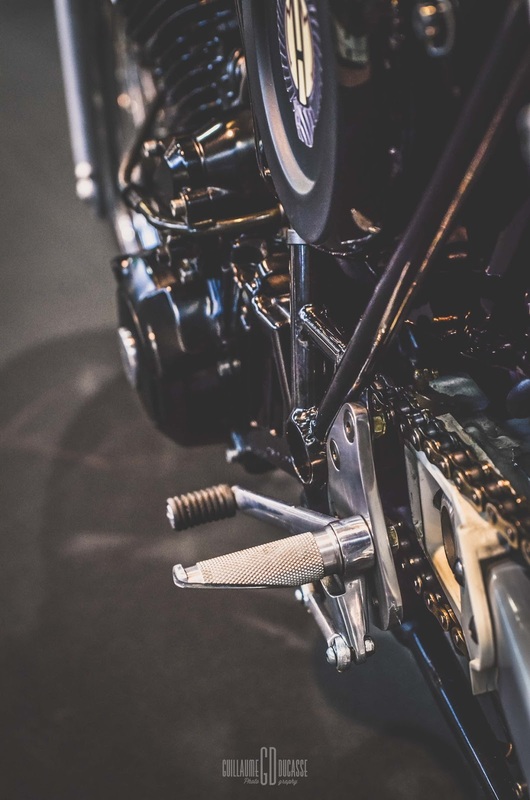 This motorcycle has been totally rebuilt on the basis of an ATC motorcycle realization (the last photo in the previously published album). 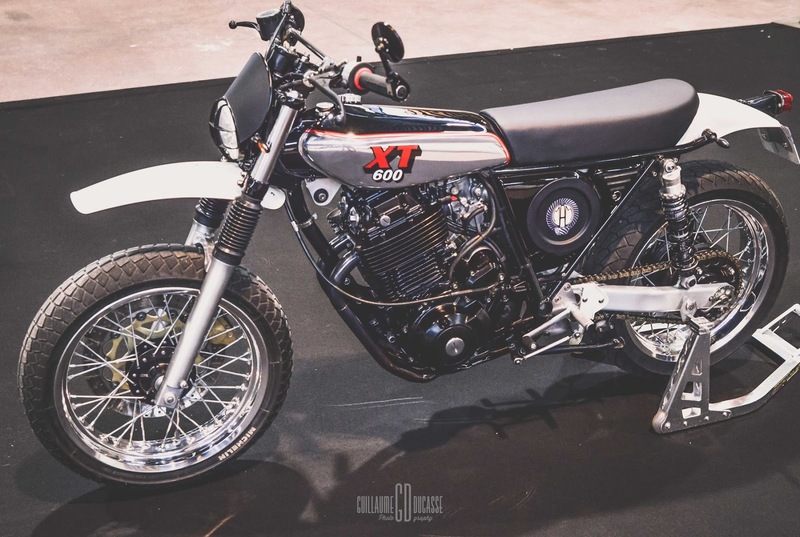 The style chosen is that of the 500 xt and more generally motorcycles of the 70s. 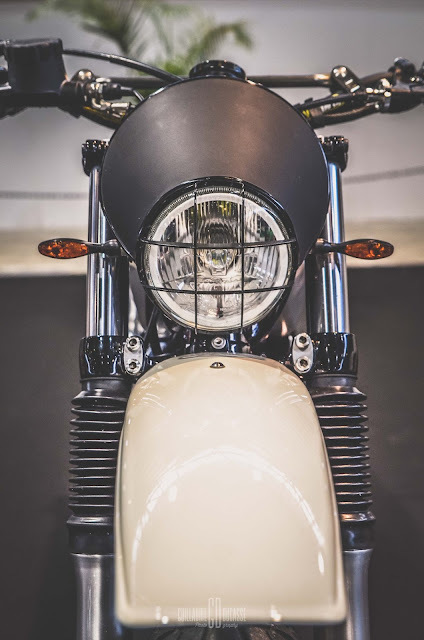 The steel beam frame (type F. Egli) has been modified to correctly position the upper tank of 3 l. The main tank, under the saddle (7 l), looks like an oil tank. 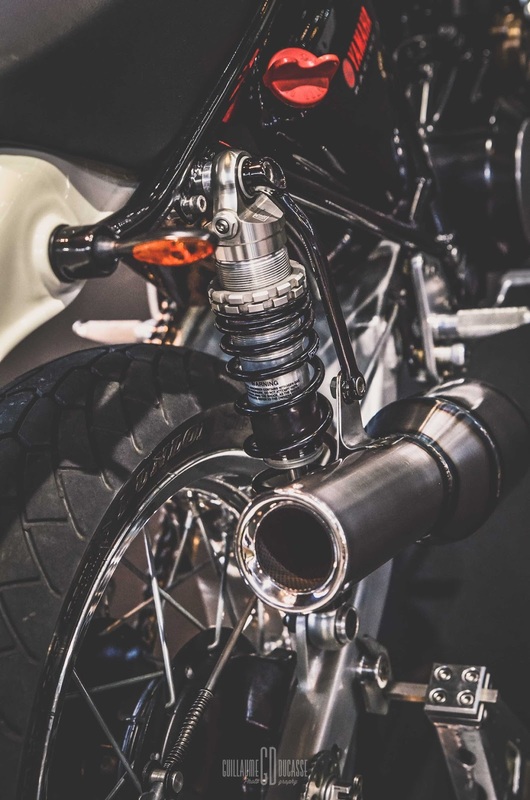 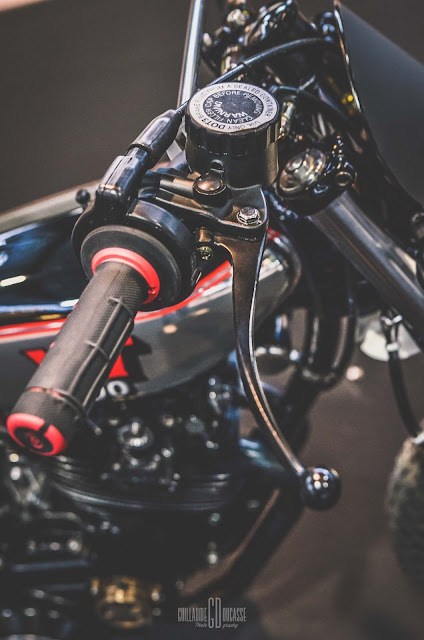 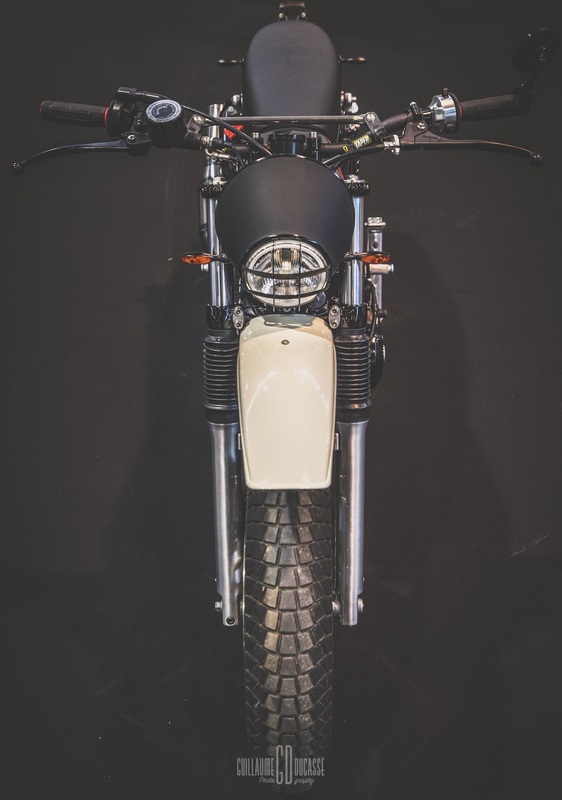 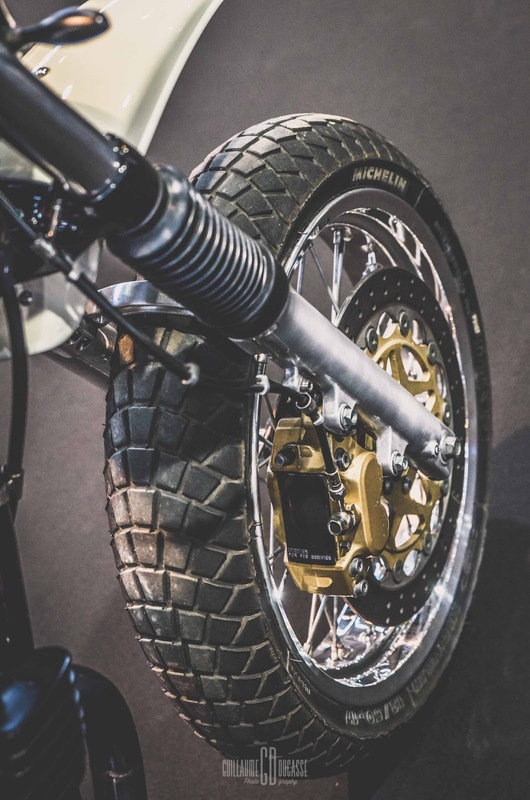 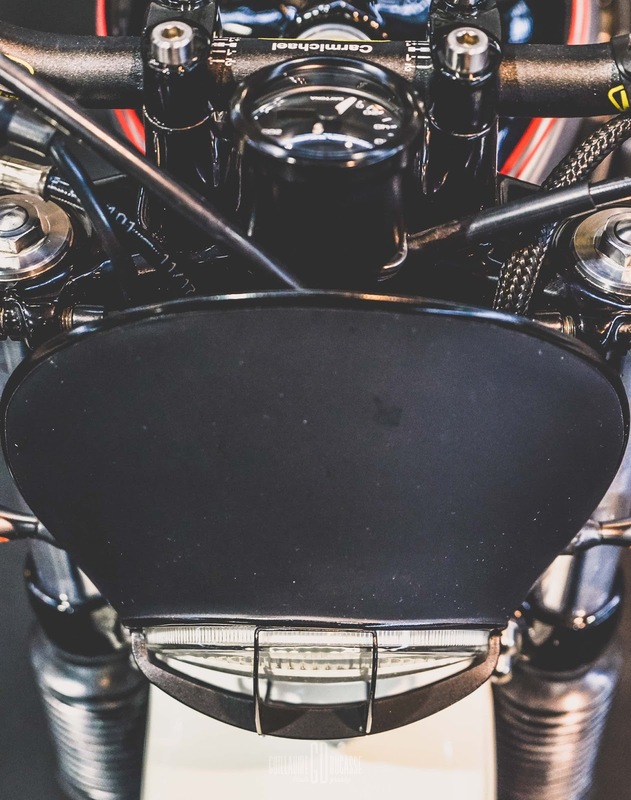 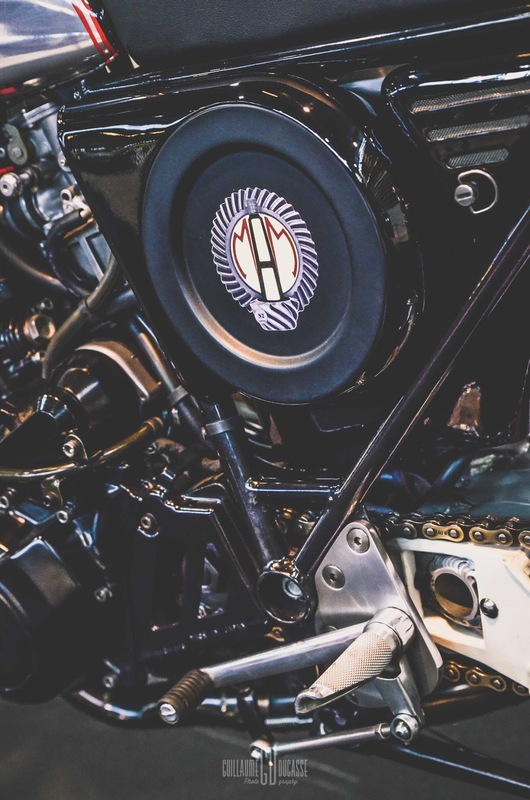 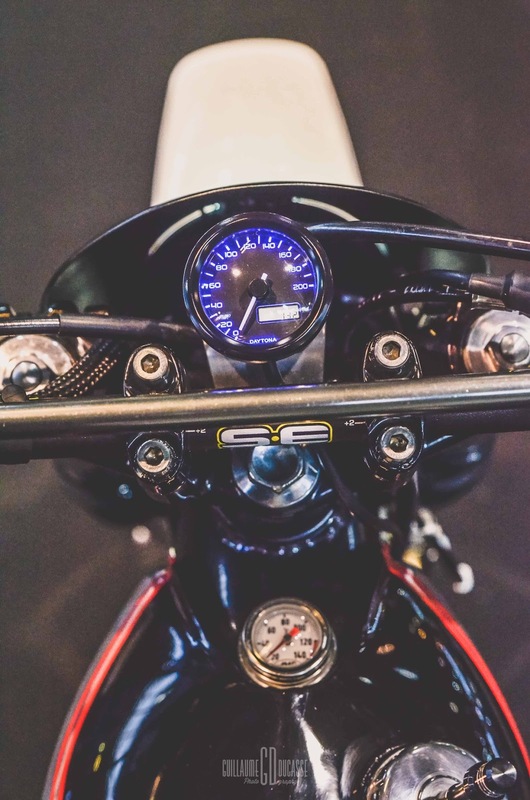 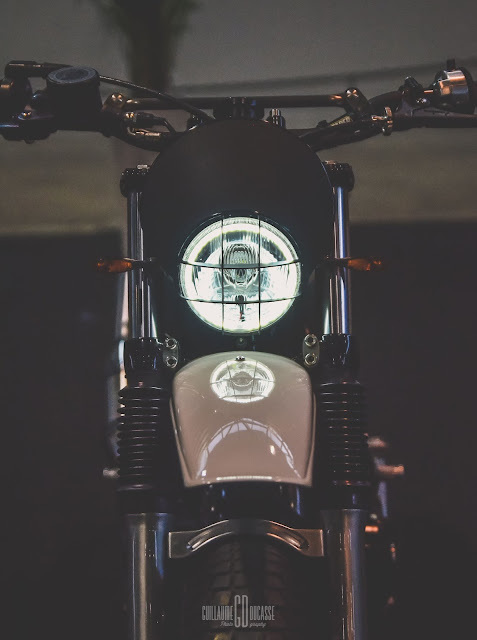 All these elements, as well as the scoop of the air filter, the mini left side aluminum casing as well as the rear part of the front fender, were handcrafted from aluminum. The muffler, hydro formed, which looks like a 2 T pot of relaxation, is an absorption silencer. 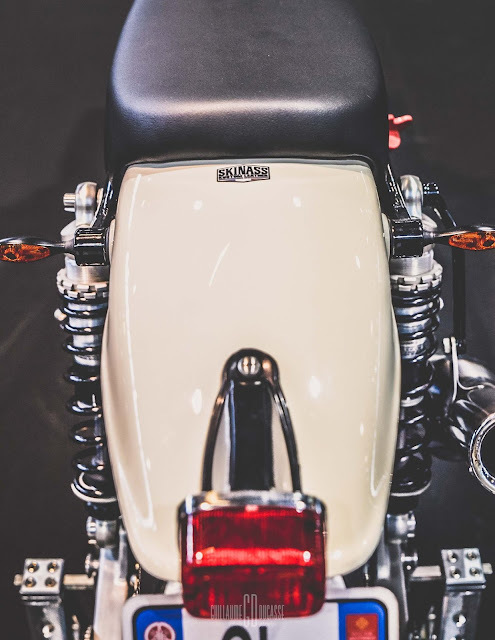 This machine with very small dimensions (wheelbase 1.34 m, seat height 77 cm) weighs 120 kg. 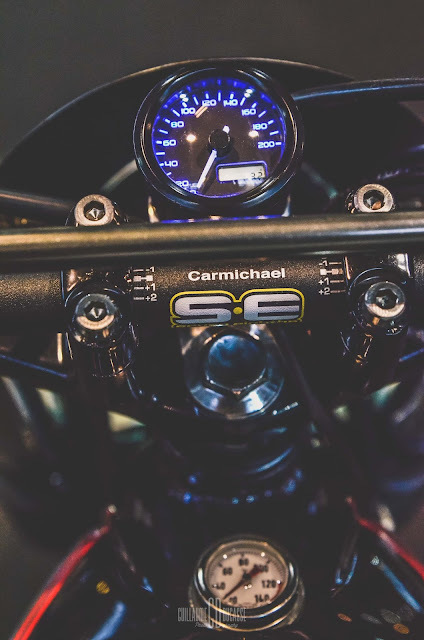 The engine slightly prepared by KM Racing develops about 53 hp (620 cc, AAC stage 2, piston HC).